Nothing beats the visual image when planning a trip. 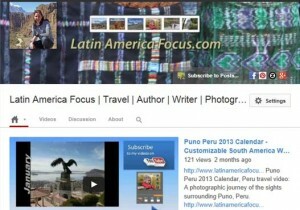 Our featured Latin America videos will help you decide where to stay, what to eat, and most of all — where to spend your valuable time! We take a journalistic approach to our videos with a goal of telling you all the information you need prior to arrival. Have you ever visited a place more than once? The second time is always more comfortable because you have the knowledge of where to stay, and what to visit and where to eat. That’s our goal. We want you to arrive and feel like you have that same knowledge of a second trip. To receive our videos, Subscribe on YouTube. Don’t miss upcoming videos: Subscribe on YouTube. See More ~ Subscribe on YouTube. Connect with us through social media networking See More ~ Subscribe on YouTube. Don’t miss the Blog posts!